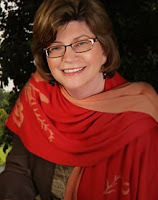 Jillian Kent is a busy writer and the alter ego of Jill Nutter, a full-time counselor. Jill spent the first semester of her senior year of college at Oxford studying British Literature, where she fell in love with England. During this season, she came to appreciate the written word, the rich imagery of romantic poetry like The Highwayman, and historical novels of many types, including Jane Austen and all things Regency. Jill received her Bachelor of Arts in Sociology from Bethany College in West Virginia, and her Masters Degree in Social Work from WVU, and she brings her fascination with different cultures and societies into her writing. 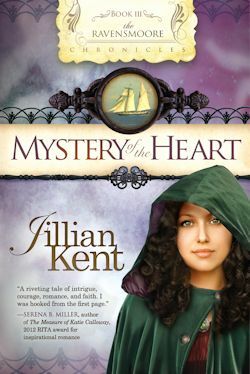 Jill has always been a romantic at heart, so readers will find a good dose of romance woven through each of her novels. Jill, her husband Randy, and children Katie and Meghan are animal lovers. They currently own two dogs, Boo-Boo and Bandit and a menagerie of cats, Lucky, Yuma, Snow, and Holden. Critters of all assortments make their appearance in her stories. Lord Eden is intrigued when he discovers Lady Mercy Grayson’s secret, but how can he hope to gain her heart when he is forced to betray her? Lady Mercy Grayson longs be a physician like her big brother, Devlin, Lord Ravensmoore. However, society would never tolerate a female physician, let alone one who is a noblewoman. So Mercy takes matters into her own hands, disguising herself as a man to get through medical school. But then a male colleague discovers her secret, which is only the beginning of Mercy’s problems that could destroy her dreams forever. The Prince Regent is awaiting the return of Vincent St. Lyons, Lord Eden, whom he sent on a secret voyage to locate and bring back a relic that some believe possesses the power to heal. St. Lyons discovers Mercy washed up on England’s shore upon his return and agrees to give her safe passage to London aboard a ship of men practicing African Vodun. Both must face treacherous circumstances, difficult decisions, and a growing attraction to one another that could forever change the course of their lives. As the final installment in the series, the theme of this book is God’s plans for our lives. “Whatever the hand findeth to do, do it with all thy might” (Eccles. 9:10).